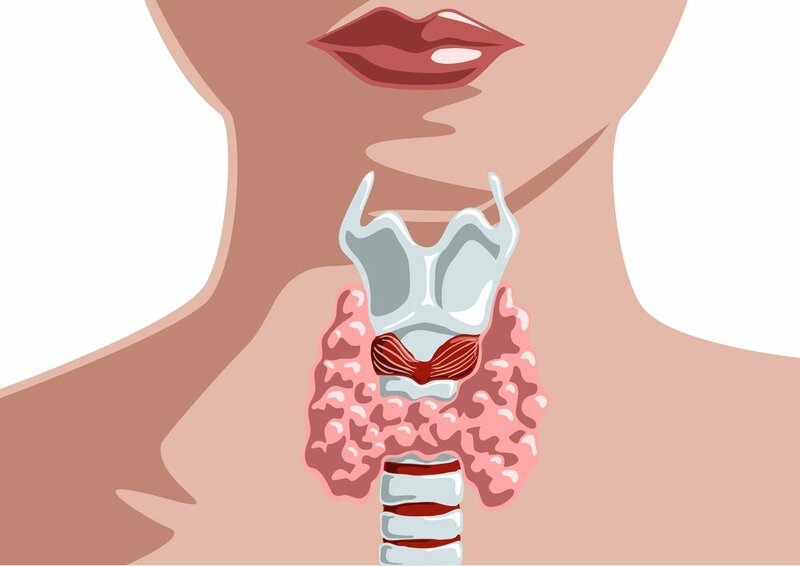 The thyroid – a small gland in the neck, located just underneath the Adam’s apple – has two main functions which are essential to the health of the human body: to maintain the proper concentration of calcium ions in the blood stream and to regulate metabolism, including the digestion and processing of proteins. Knowing this, it is easy to see how a malfunctioning thyroid gland can be quite detrimental to a person’s health. Unfortunately, the majority of people who have either hyperthyroidism (over-active thyroid) or hypothyroidism (under-active thyroid) either don’t realize that anything is wrong or have been misdiagnosed due to the similarity of these disorders’ symptoms to those of other illnesses. Hypothyroidism – unexpected weight gain, tiredness, depression, sensitivity to cold, dry skin and hair, muscle aches. If you checked off the majority of symptoms on either list, think about the possible causes of thyroid malfunction to see if any of them apply to you, including: exposure to radiation such as with x-rays, build-up of heavy metals in the body, iodine or selenium deficiency, food allergies or intolerance to gluten and A1 Casein, over-consumption of carbohydrates, and insufficient healthy fats in the diet. Also, about 90% of hypothyroidism cases are related to the autoimmune disorder Hashimoto’s disease. As previously stated, you should never self-diagnose a thyroid disorder. Your physician can perform blood tests to determine whether or not you really have hypo- or hyperthyroidism. However, should your doctor conclude that your thyroid is indeed malfunctioning, there are some steps which you can discuss with him or her to naturally heal your thyroid. Gluten, the glue-like proteins found in many starchy foods like bread, oatmeal, and pasta are often responsible for food allergies and declining gut health. A1 Casein, a mutated protein chain found in the majority of commercial cow’s milk and milk products is a detrimental biochemical known to cause autoimmune disorders, gastrointestinal dysfunction, and organ damage. Both of these proteins can lead to thyroid malfunction, so if you think you may have either hypo- or hyperthyroidism, avoid high-gluten foods and stick with dairy products like cream and grass-fed butter which contain little or no A1 casein. Iodine deficiency is another problem that is on the rise, due in no small part to the bad reputation we’ve given to table salt (which often has iodine added.) What many people don’t realize is that iodine is a necessary building block for the metabolism regulating hormones produced by the thyroid gland and most of the foods we eat don’t have enough of it to keep us healthy. You can perform an at-home iodine test to see if you have a deficiency. Or for more definite confirmation, ask your doctor to check your iodine level. If you find that your body lacks this vital nutrient, try adding foods like kelp and cold-water fish (cod, tuna, etc) into your diet. There are also iodine supplements available which you can take to correct the problem. Most people are exposed to more heavy metals on a day-to-day basis than we realize. These metals (mercury, aluminum, arsenic, cadmium, and lead, just to name a few) accumulate in our bones, soft tissues like fat cells, and even in the nervous system; and they can be highly toxic if left unchecked. Heavy metal poisoning has a long list of possible symptoms, including but not limited to development of food allergies, neurological disorders, poor circulation, fatigue, digestive malfunction, insomnia, unexplained muscle soreness or twitching, skin maladies like eczema, frequent headaches, weakening of the immune system, and autoimmune disorders which can cause hypothyroidism. Your doctor can do a test to determine if you have an overabundance of heavy metals in your body. In the mean time, if you believe you need to detoxify your body, include chia seeds, eggs, Brazil nuts, cilantro, alliums (onions, garlic, etc) and chlorella in your diet. These foods contain biochemical compounds which bind to heavy metals and allow your body to flush them out naturally through urine, sweat, and bowel movements. Alternately, you can use activated charcoal to purge toxic heavy metals from your body. Selenium is a micro-nutrient and antioxidant contained in foods like shellfish, cold-water fish, nuts and seeds. While the recommended daily intake of this essential mineral is only 70 micrograms and extreme selenium-deficiency is rare, minor to moderate cases are not unheard of. Over time, selenium-deficiency can lead to Hashimoto’s disease which causes the immune system to attack the thyroid. 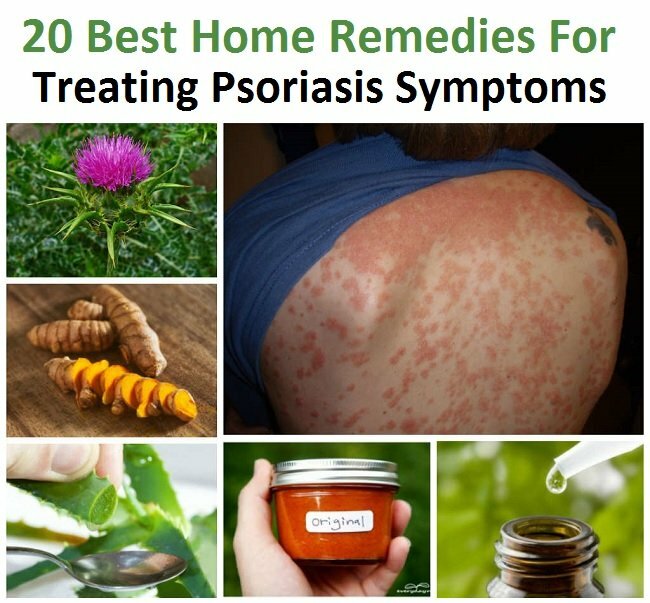 Signs to look for include unexplained muscle and joint pain, very dry or brittle hair, and an abundance of white spots on the fingernails. If you think you may not be getting enough selenium in your diet, ask your doctor to test for the mineral before you try to self-correct the problem as consuming too much selenium – especially from supplements – can cause major health problems, too. Herbs like Panax Ginseng, Ashwagandha, Holy Basil, and Rhodiola Rosea – known collectively as adaptogens – support the adrenal glands which work hand-in-hand with the thyroid. When your adrenals don’t function properly, your body loses the capability to properly deal with stress. The resulting over-abundance of cortisol, often referred to as the “stress hormone” can lead to thyroid problems as well as unexplained weight-gain (especially around the mid-section), inability to lose weight, and chronic fatigue. As always, it is recommended to first consult with a medical professional before starting any herbal supplement. Also, pregnant and nursing women should generally avoid taking herbs, especially those which affect the endocrine system. There are plenty of reasons to stop eating sugar and thyroid health is definitely one of them. If you have symptoms of thyroid disorder, take a look at your daily sugar intake. Every day, the average person in the US consumes over 20 teaspoons of added sugar – the unnatural sugars like high-fructose corn syrup which food manufacturers add to their products to make them taste good. In the UK, the daily intake is over 30 teaspoons or around 125 grams. For adults, 6 teaspoons / 25 grams per day is the maximum amount of sugar recommended by the American Heart Association. Of course not all sugars are created equal; and those naturally present in fruits and vegetables are far less detrimental to your thyroid health than the chemically-processed junk that hides in the majority of processed foods. Learn more about the different kinds, as well as what sugar is doing to your body in this article. In the mean time, if you think you may have or know for a fact that you do have a thyroid problem, here are 10 Tricks To Help You Quit Sugar which will help to heal it. Avoid roller-coaster or fad dieting which puts strain on the metabolism. If you’re the busy type who likes to eat on the go, try to slow down while eating. Your food will digest more efficiently and your body won’t have to work as hard to obtain nutrients from the foods you eat. Also, pay attention to the types of food you consume. Make good choices to keep your blood sugar steady such as including protein at every meal. Also, do your best to eat a variety of wholesome foods that cover the entire spectrum of vitamins and minerals your body needs to maintain optimum health. Because many types of radiation can both cause and exasperate thyroid disorders, do everything you can to minimize your exposure. Try to cut down on electronics usage such as tablets, GPS devices, and cell phones. If you have to go in for an x-ray, request a collar to shield your thyroid during the procedure. Also, be aware of your surroundings. Avoid spending too much time in the vicinity of major electrical lines and cell phone towers. Instead of plopping down in front of a television or computer after a hard day at work, consider some other relaxing behavior like yoga, meditation, or reading a good book. The short version and what you really need to know is that our bodies use fats – ideally those which we obtain from natural sources like meat, dairy, and nuts, as well as fruits like coconuts, olives, and avocados – and turns them into hormones. When we consume the wrong fats, our organs are forced to manufacture these same hormones with the improper tools – think round hole, square peg. The results are mutated hormones that send our bodies on a crazy roller-coaster of mood swings, metabolic disorders, immune malfunctions, digestive problems, and reproductive system failure. That said, if you think you may have a thyroid disorder or if you just want to be healthier and happier in general, dump out that jug of gussied up petroleum disguised as “vegetable oil” and switch to wholesome, delicious natural fats.